“Welcome back to Rangiroa!” said my friend Noho, who we had met last September. It was great to see again and strengthen our friendship. 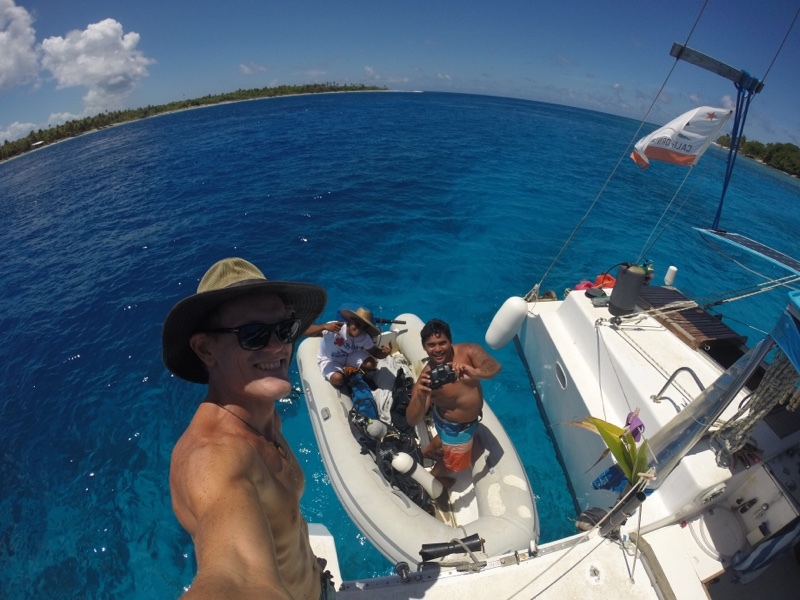 I had sailed the 40 miles from Tikehau to Rangiroa for a dentist appointment. I had dropped off my friends Jesse & Anna here, who had spent New Year’s with me. Now I was alone for the first time in a year. I was surprised to discover the good quality dentist I visited had no way of accepting my money — how’s that for medical care? So I got a cavity filled courtesy of the taxpayers of French Polynesia. “Just come back when you get signed up with the local health insurance,” the dentist told me amicably. In exchange, it was time for me to pay Uncle Sam. I needed to get my USA taxes done, but internet here is slow as molasses. Websites spin for minutes before loading. Pathetically slow internet is undeniably the greatest challenge of being in Tuamotos. Nevertheless my bank statements eventually loaded and I sifted through a year’s worth of expenses and income. Fortunately, Noho would wave at me from the beach and come visit me for a break. Tagging along was his cousin Toriki, who paddled an outrigger everyday past Aldebaran. They are so pumped on the boat, it is fun sharing it with them. The photo shows us about to head on a dinghy mission together.